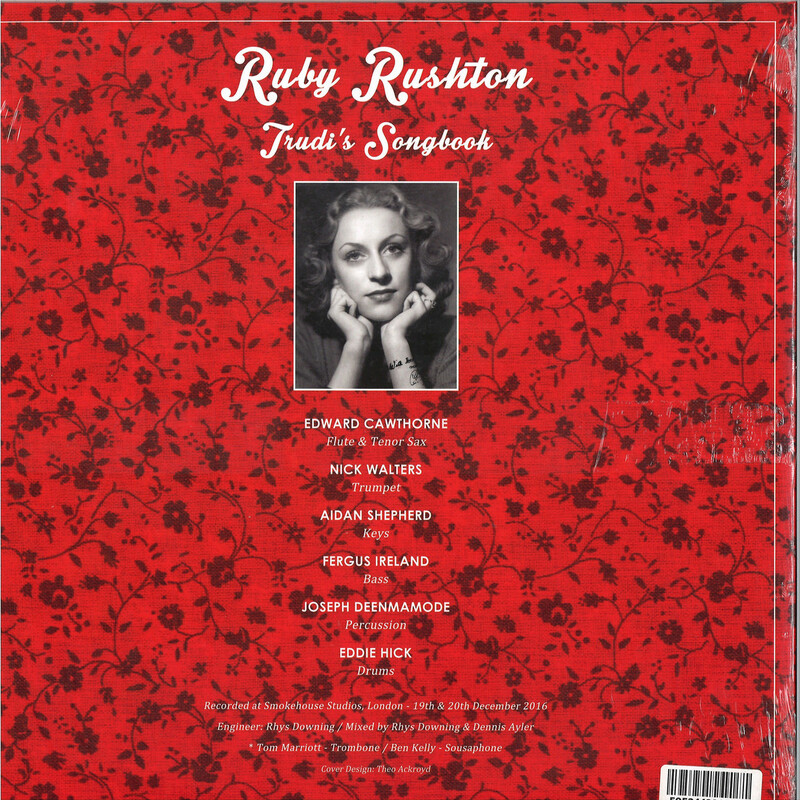 Due to popular demand, 22a presents the out of print Ruby Rushton LP’s from 2017, in a deluxe gatefold vinyl format, strictly limited to 500 copies. The Tenderlonious led jazz quartet Ruby Rushton and their 22a imprint have been at the forefront of the UK jazz scene since the release of their debut album ‘Two For Joy’ in 2015. The band transport you back to the 70s Headhunters era, whilst still adopting the spiritual concepts of John Coltrane and Yusef Lateef. Audiences can expect to be treated to high energy compositions, fusing flavours of afro beat, hip hop, and Latin jazz. Both Trudi’s Songbook Volume One and Two were met with mass acclaim in the summer and autumn of 2017. They received regular airtime and support from DJ’s, tastemakers and radio stations across the world, including Gilles Peterson, Benji B, Bradley Zero, Jazz FM, BBC Radio 6 Music, Worldwide FM, NTS and many more. The huge support for the albums led to Trudi’s Songbook: Volume Two being nominated for Jazz album of the year at the 2018 Gilles Peterson Worldwide Awards. With a brand new album due for release in March 2019, this limited edition, 2xLP, deluxe gatefold issue of Trudi’s Songbook: Volume One and Two closes this chapter for the band and paves the way for new material.